This event will feature with hundreds of thousands of lights, music, entertainment, decorations, celebrities, musical groups, beauty queens and many other exciting entries expected to be viewed by over one million spectators. 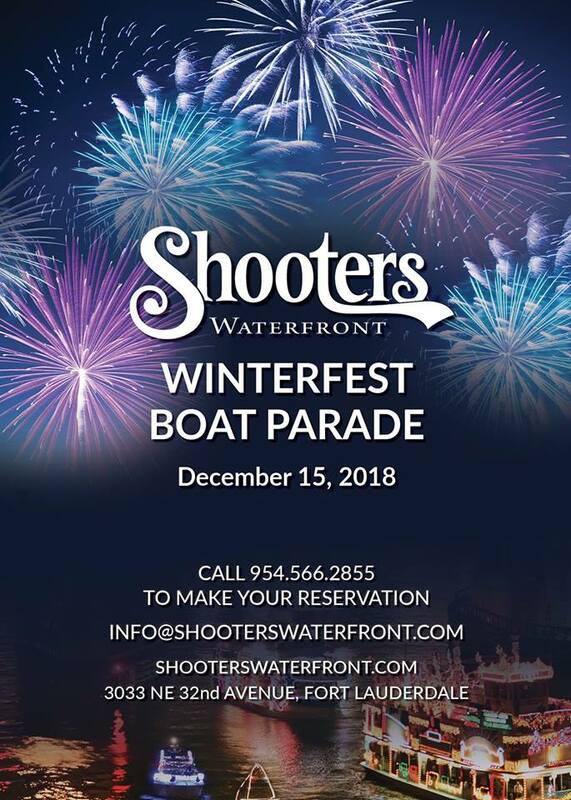 Seminole Hard Rock hosts the anual Winterfest Boat Parade. Being on the water, what better place than to be at Shooters Waterfront? The decorated boats pass us as the go up the intercostal. We look forward to this occasion every year!